Three Valley R-VI School District students placed in the Young American Creative Patriotic Art Awards contest sponsored by the Bismarck VFW. We are happy to announce our students of the month for January, February, and March! We are proud to present our All Conference Players. Welcome to Valley R-VI School District, home of the Vikings! 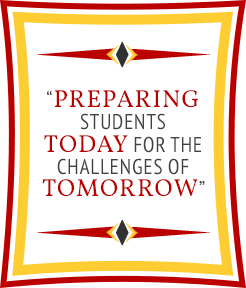 Situated in historic Caledonia, Missouri, at the intersection of state highways 21 and C, eleven miles south of Potosi and just north of Elephant Rocks State Park, we are dedicated to preparing our students for the challenges they will face tomorrow. 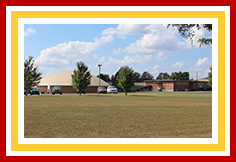 We invite you to browse through our new website to learn more about our district and how we’re preparing our students in rural, eastern Missouri. Of special note are our events pages, which are dedicated to keeping you informed about everything going on in Viking territory. We look forward to seeing you soon! What an honor it is to be the new superintendent of this great school. I have had the privilege of being a Valley Viking for seven years prior to becoming the superintendent, and I take great pride in who we are and the lives we have impacted for the good as a school district over these past years and the years long before I arrived. I have grown very fond of our students, staff, and community, and I expect our school to continue to do great things. I hope what you find on our website is helpful. If we can assist you with anything, feel free to contact us. As we continue moving forward, we will work diligently to strive for excellence in all that we do here at Valley, for we should never forget that we have the potential to make a lasting difference in the life of a child.